Fans like to send us photos of their zombie fun! Are you going to a zombie walk in your town? The Zombie Cruise? Having a zombie-themed Christmas party? Here's your chance to have some fun! Send us your photos, and we'll post them in a Fan Gallery! Here's a shoutout for Laura Hanney Torres and her family of Zombies on vacation! This wacky bunch made zombie tableaus out of Barbie dolls, and on Thursday, they took a family photo in full zombie style. One of the highlights was from the edged weapons demonstration with watermelons, and they even decorated watermelons as zombies...even with a nod to the "Whites" from the Slow Burn series! She did point out that they've done other fun "normal" things on their vacation like hiking and fishing. Laura's mom was a total good sport and "judged" the zombie competitions. Her dad was the one who got them all hooked on Slow Burn in the first place. Thanks, dad! We're thinking dad should get the Dad of the Year award for being so cool! Just that look...enough to cast fear into the hearts of anyone with brains! Wait, didn't we see them in Ebola K? But is that a screw in his head? Wait, she moved so fast it was all a blur! 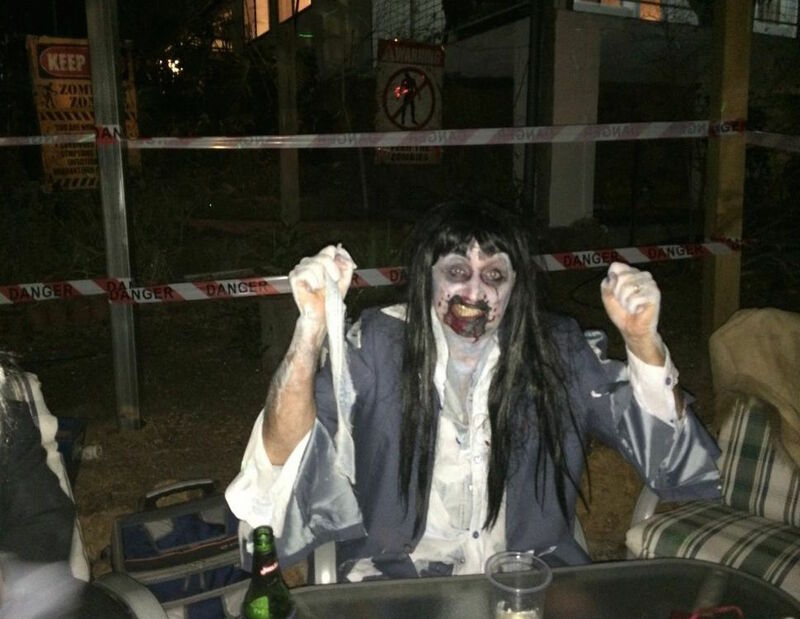 We got some new photos in from Pamela from Western Australia, who had some fun at a Zombie Birthday Party down under! She and her husband were the Zombie Apocalypse Rescue Team, and it looks like everyone got involved, including her son (he's in the suit). Anyway, many thanks to Pamela and her family for sharing! Happy Birthday, Pamela! A long day at the office is enough to make any of us feel this way! Pamela's son again...this time with the crazed eyes...we love it! We think these lovely ladies look like they could be in the very first zombie girl band...so colorful...great makeup! SCARY! Watch out...it's coming for you!